CamSur Adventure – Page 2 – Find out the latest and newest updates in Camarines Sur right here. 1. Packing becomes less of a chore. With friends by your side, you can pack strategically. Some can be in charge of toiletries, while the others can be assigned with entertainment items such as speakers and playing cards. 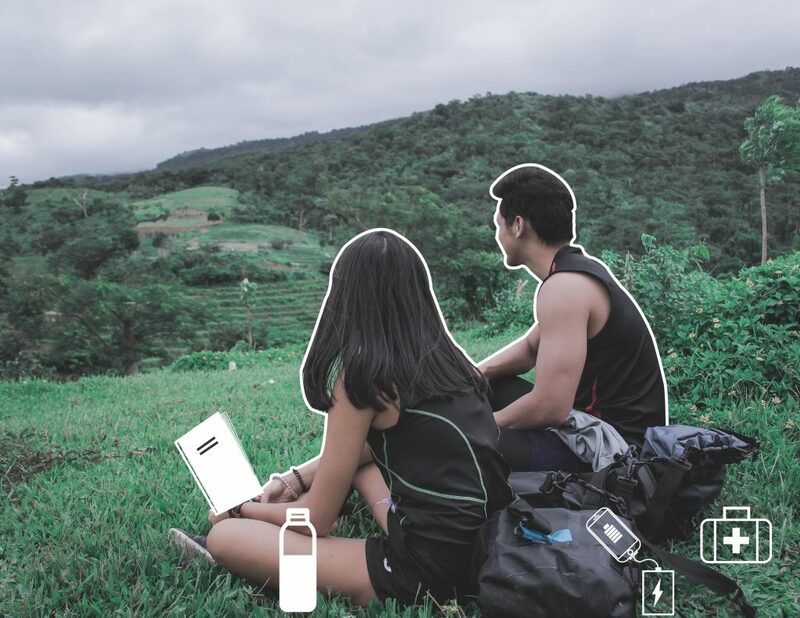 Not only does it save up baggage space for everyone (which means more space for pasalubong), it also makes sure all trip essentials are covered to avoid any mishaps that can spoil the fun. 2. There’s never a dull moment with them. Immersing yourself in a unique environment can be overwhelming. When going solo, not having anyone to share the beauty around you with can make you feel a bit lonely. Traveling with your favorite people, however, makes every sight meaningful. Even the acquired taste of exotic food becomes exciting to try, knowing you have your friends to enjoy the experience with. 3. You can deal with setbacks with a laugh. Uncomfortable situations can’t be avoided during travels, but being with friends makes any trouble bearable. From dealing with delayed flights to enduring 12-hour bus rides, you know how to keep your spirits up and go through any misfortune with laughter—and even turn it into an inside joke when you’re already back home. 4. Compromising is not a problem. You know your friends inside out and you love each other despite your quirks. You stick with them because you always find ways to make your friendship work, one of which is adjusting willingly to each other’s needs. This keeps a positive vibe during a trip, as you can be honest with each other all the time. Crucial matters such as sticking to a budget, deciding which places to visit, and getting alone time can be discussed with friends openly because you’re sure they’d understand. 5. They know your best angles. When it comes to travel, “Instagram or it didn’t happen” is a sacred rule. Sharing snippets of your awesome vacation inspires others to go places and do something different, so why not be extra? Traveling to exotic locations requires amazing photos, and there are no better stylists, creative directors, and photographers than friends who know exactly what vibe you want to channel in each shot. Pack your bags, discover breathtaking places, and share new experiences with old friends. Remember: like wonderful memories, those who travel with you are worth keeping for a lifetime. Traveling gives a rush of excitement, especially as the departure day draws closer. But it also comes with a rush of panic when you only have a few days (or in most cases, hours) to pack everything you need for your journey. Of course, essentials such as swimwear and sunscreen are already a given—but what about the really important stuff? For adventurous travelers, precaution is always a great idea. Not only does it secure you from unanticipated disasters, but it also guarantees you get all the fun out of your escapade. Adrenaline seekers always pack their itinerary with physical tasks such as trekking and mountain-biking. Be up for the challenge with a first-aid kit that takes care of minor cuts and wounds. Turn a medical emergency into a minor setback. Don’t forget to pack prescription medicine that may not be available in remote areas. Exploring islands and beach-hopping involve significant sun exposure, so be sure to get hydrated all the time. An insulated water bottle keeps hot and cold drinks for hours, making it ideal for camping and hiking trips. It’s environment-friendly, too. A journey from one island to the next requires numerous boat rides, which means getting wet is inevitable. Keep necessities such as cash and mobile phone moisture-free by putting them in a waterproof bag. Those suddenly-trendy fanny packs come in handy not only as an accessory but a functional storage gear as well. Think they’re only for babies? Wet wipes double as an excellent cleaning agent especially when there’s no running water available. Cleaning your hands, wiping off spills, and freshening up your face and neck are just some of the many wonders this multi-purpose item can do. Turn the pages of your chosen novel while you de-stress on pristine sands or amid a lush forest—isn’t nature the best backdrop for catching up on your reading? Be sure to carry a lightweight one that you can take with you anywhere, from relaxing by hidden waterfalls to biking off-road. When you’re off somewhere all-day without knowing when the next chance to charge your phone will be, a power bank takes away the worry of missing out on capturing precious images such as a gorgeous sunset or exotic animals. It comes in handy when looking for dining spots highly recommended by locals, too. Committed to promoting the country as a unique travel destination, the province of Camarines Sur joined the 29th Philippine Travel Mart (PTM) held on August 31 to September 2, 2018 at the SMX Convention Center. 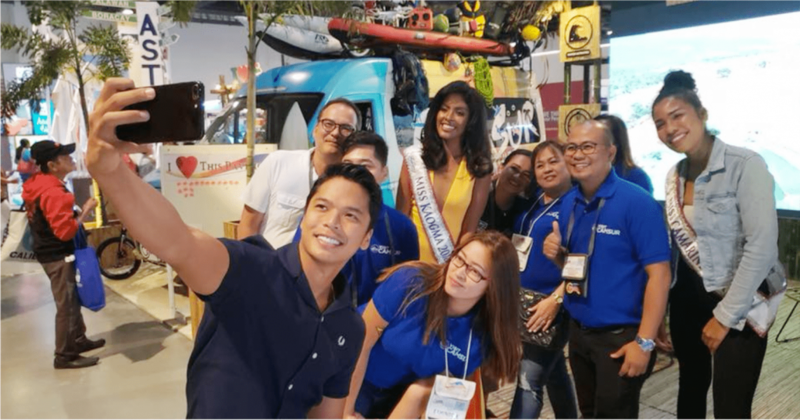 The CamSur booth was one of the most well-received in the annual event, with its Adventure Van capturing event-goers and inspiring them to see the province in an exciting view. 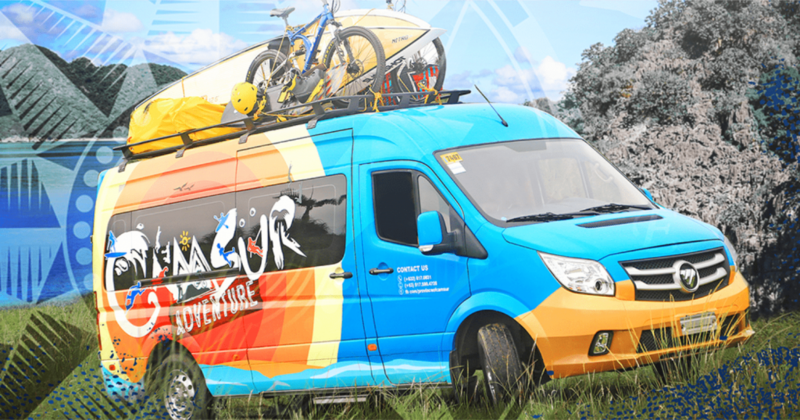 Strengthening its status as the Sports and Adventure Capital of the Philippines, CamSur Adventure offers worry-free tourism to everyone—with the van being one of the many perks travelers can enjoy when they choose CamSur Adventure as their vacation partner. Not only does the vehicle transport them from one environmental wonder to another such as hidden waterfalls and exotic creatures, it also guarantees a safe and convenient ride for tourists all throughout their escapade. Aside from van and boat transfers, all-inclusive packages provide accommodation, meals, sports gear, and professional tour guides, allowing travelers to explore CamSur minus the hassles of booking. Itineraries are packed with group-friendly activities such as hiking, mountain-biking, and camping, to name a few—making sure that family and friends can join in the fun, too. 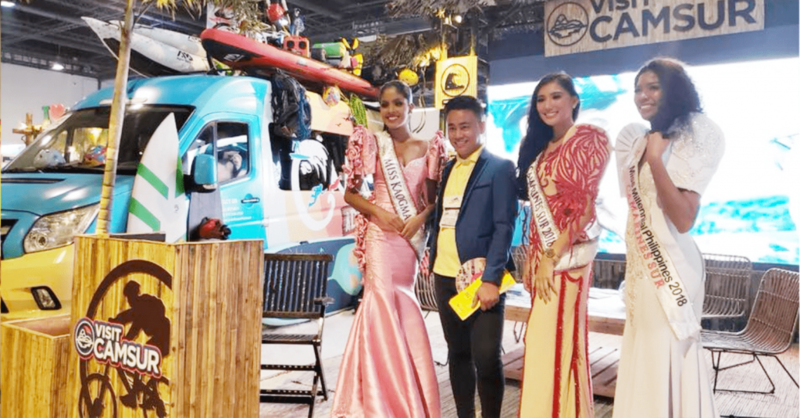 Like the beauty of the province, the CamSur booth made a lasting impression not only for its visual impact but also because of the presence of Governor Miguel Luis “Migz” Villafuerte. 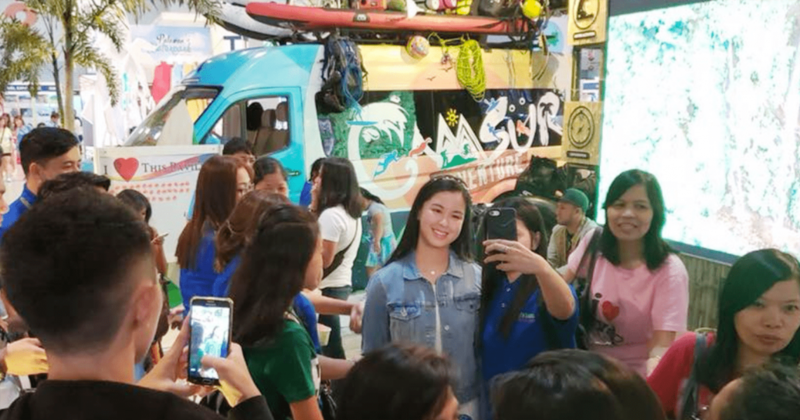 Attendees flocked to the area to take a photo with him, as he showed support in making a dream vacation available for all—made possible by affordable package rates and easy access to the province. 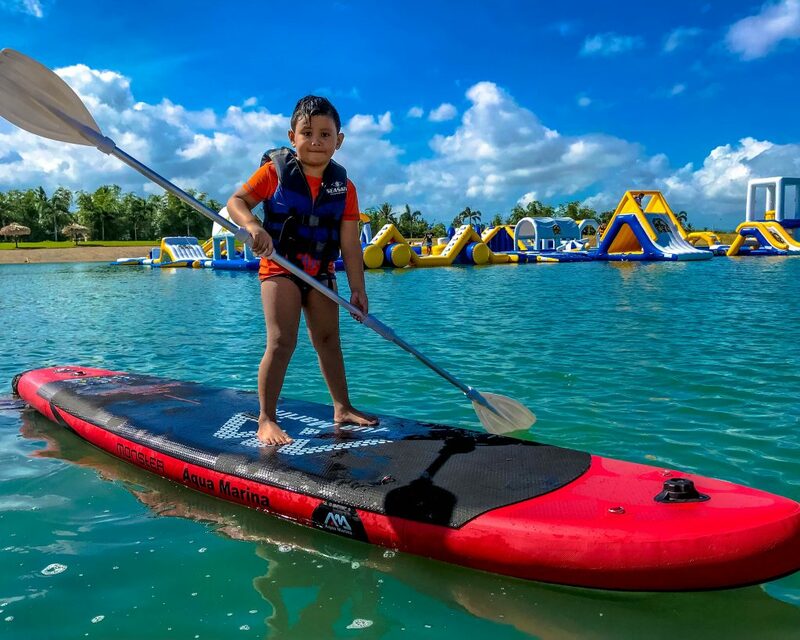 A playground for adrenaline-pumping activities, CamSur is home to the CamSur Watersports Complex (CWC), the first world-class water-sports park in the country and in Asia. It takes pride in the magnificent islands of Caramoan, where the internationally renowned series Survivor was shot, as well as the pristine sand beaches of Gota—just one of the many treasures that have earned CamSur a spot on every travel bucket list. Right off the bat, Cody and Finn went straight from Manila to Curry, Pili to explore Balang Falls (popularly known as Shower Falls) and Slide Falls. Watch their first day in CamSur with the CamSur Adventure Team. Cody Buffinton is an American social media travel influencer. He is also a fitness junkie who lives to explore beautiful places that few have been, while chasing high-action adventure and creating epic cinematic content! Finn Snow, on the other hand, is an adventurous Icelandic-American traveling the world. 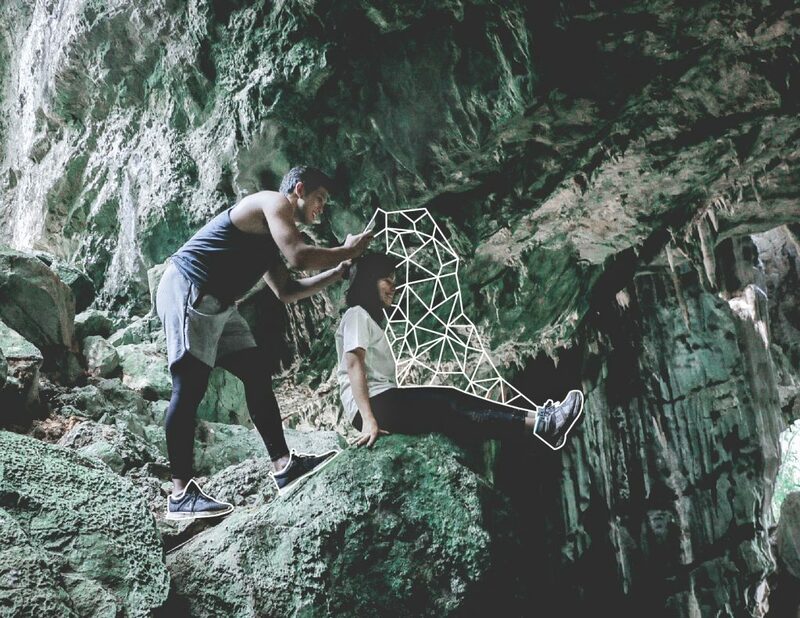 He is currently based in Cebu and exploring different destinations in the Philippines. Send some love and subscribe to Cody and Finn. Also check their Facebook and Instagram. 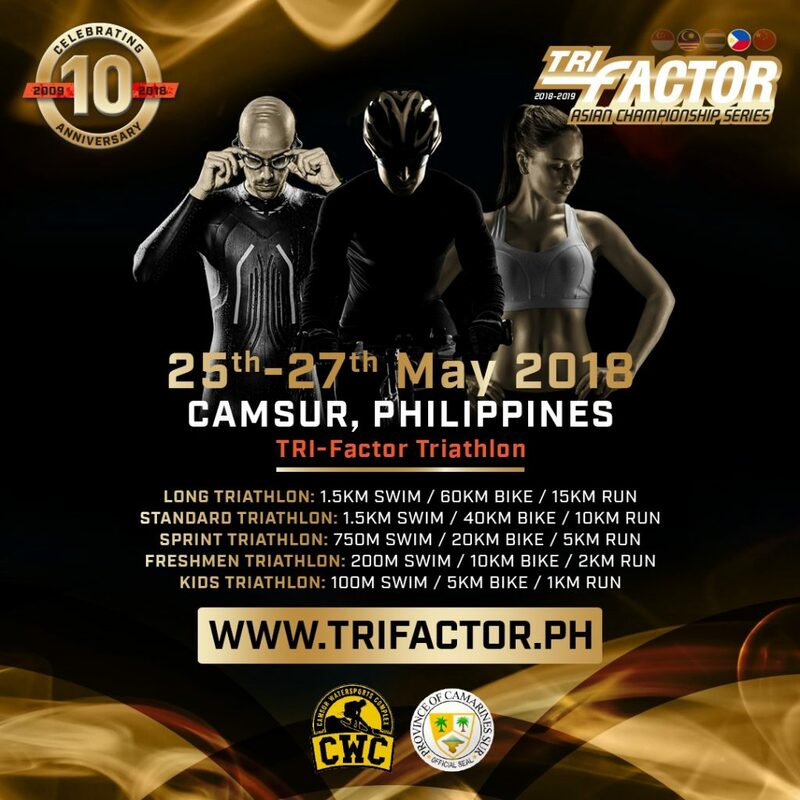 FIRST TRI-FACTOR ASIAN CHAMPIONSHIP RACE IN PHILIPPINES – BE A PART OF HISTORY! Philippines! Are you ready to be a part of History! With the support of the Province of CamSur & CWC (CamSur Watersports Complex) we are proud to be organising the first Asian Championship Race of Philippines in picturesque CamSur! Save-the-date for the 25th – 27th of May as we’ll be bringing you an exciting event in conjunction with the Kaogma Festival! It’s an event you cannot miss! Come for the race, stay for the Party! Registration is OPEN! Lago del Rey is a man-made park perfect for families, friends and other group activities. 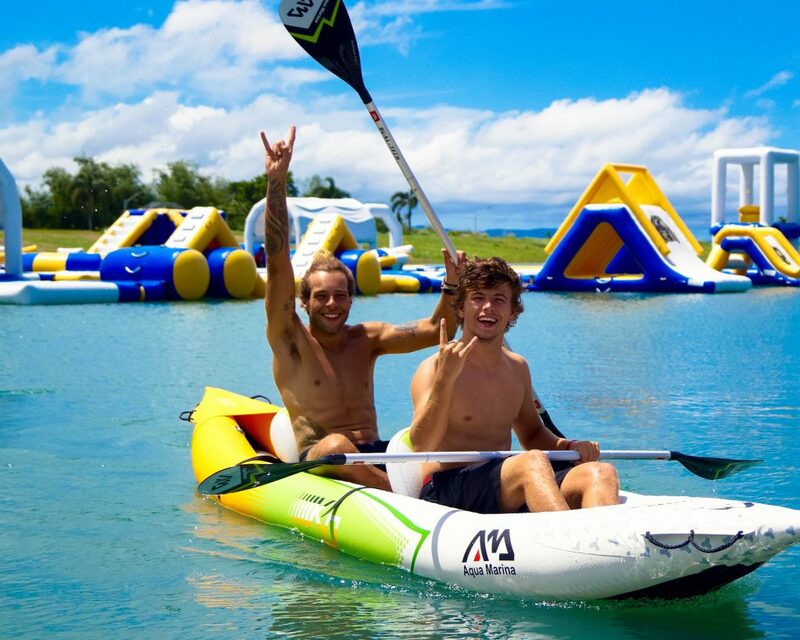 Everyone can enjoy giant water slides, aqua wall climbing, and giant obstacle courses at the Aqua Park. And now, the ultimate water playground just got better as it adds the stand-up paddleboards and kayaks for guests! For as low as 200 pesos, one can enjoy the new fun water activities! 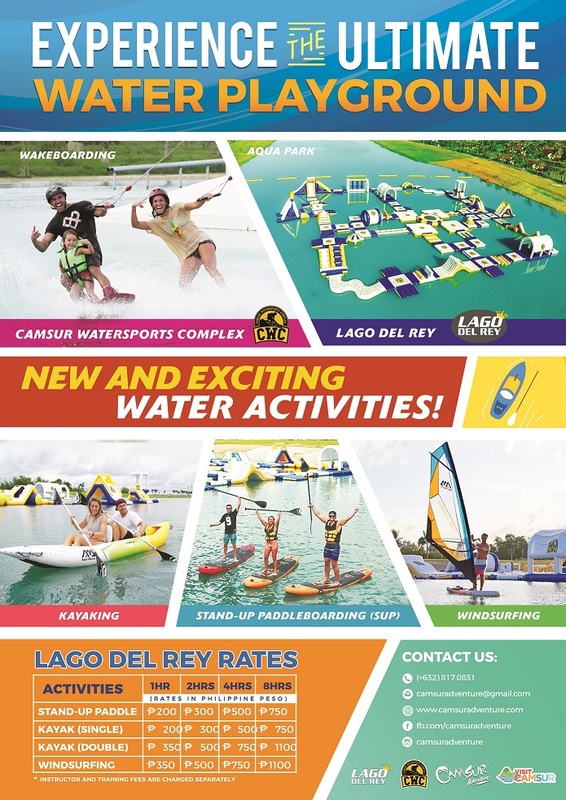 For more information, visit CamSur Watersports Complex’s website.